In order to move forward, it's good to look back to see how far women faculty have advanced in the College of Science and Engineering. Even though change comes slow, the early female faculty helped to break barriers, overcome stereotypes, and chart a new course for women to be successful in science and engineering. Before CSE (then called the Institute of Technology) was formed, one of the earliest women faculty members, Lillian Cohen, was appointed to the Department of Chemistry. 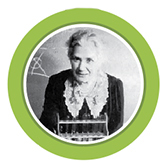 She was the first woman to receive a Ph.D. in chemistry from the University of Minnesota in 1913. After doing postdoctoral work in Switzerland, she returned to Minnesota and served on the faculty from 1918 until her retirement in 1946. The slow integration of women faculty in CSE has been a historic problem. As men flooded back into the workforce and academia after World War II, the number of women faculty dwindled to zero in the college. It would not be until 1964 that the next woman was hired, when Marian Pour-El joined the School of Mathematics, followed quickly by two more women, Charlotte Streibel in 1966 and Lisl Gaal in 1970. Pour-El (1928-2009), who earned a master’s degree in mathematics and a Ph.D. in mathematical logic from Harvard, served on the School of Mathematics faculty until her retirement in 2000. Her research interests included computability and functional analysis, and applications to physical theory. Streibel (1929-2014) earned her Ph.D. in statistics from the University of California-Berkeley. Before coming to the University, she was a research associate scientist at Lockheed Missiles and Space Company. She joined the School of Mathematics in the mid-1960s as an associate professor of mathematics. She became a tireless advocate for equality when women’s opportunities were more limited and the pay gap was wide. Today, the Charlotte Striebel Equity Award annually recognizes a University faculty or staff member of any gender who goes above and beyond to promote access for the common good. Gaal joined the School of Mathematics as a lecturer. 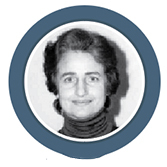 She was promoted to an associate professor in 1970 and served in that capacity until 1998. Another early female faculty member was Phyllis S. Freier (1921–1992) who spent most of her career in the School of Physics and Astronomy. After receiving bachelor’s and master’s degrees in physics, she worked at the Naval Ordnance Laboratory in Washington D.C. during World War II. After the war, she resumed her doctoral studies in physics at the University, working with Edward Ney and Frank Oppenheimer studying cosmic rays using high altitude balloons. She became the first person to see tracks in nuclear emulsions. 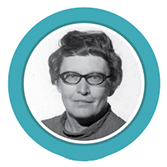 Freier received her Ph.D. in 1950, and worked as a research associate in the physics department. At the time, the University’s nepotism policy prevented her from joining the same department in which her husband, George Freier, taught. In 1970 the University relaxed its nepotism rules and appointed her an associate professor. 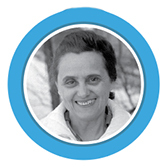 She achieved full professor in 1973, continuing her work until her retirement in 1990. Things began to change after Roberta Humphreys was hired as an assistant professor of astronomy in 1972. Humphreys, who is CSE's longest tenured female faculty member, rose to the rank of full professor and set a college milestone by becoming the first woman to be named a Distinguished Professor. 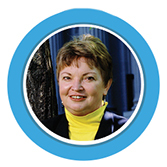 She also became associate dean for academic affairs in 2002. But before Humphreys was named to the position, Sally Kohlstedt was hired as associate dean in 1989. Her specific charge was to attract more women to the technology fields. At the time, only 6 percent of the college’s faculty were women. Kohlstedt served until 1995. She is now a professor in the college’s History of Science and Technology program. Now nearing retirement, Humphreys says women have been encouraged since the 1990s to pursue science and engineering degrees and there is more support for those women. During Humphrey's tenure as associate dean, she began meeting with small groups of women faculty to create a network where they could voice their issues and concerns. Despite the barriers and challenges she encountered during her early days in the college, Humphreys never let anyone stop her from pursuing her goals. “Years ago, when I came to the University, it was a different world with different standards. White men dominated the college and there was a lot of resistance in accepting female faculty. For example, in 1980 when our son was born, there was no maternity leave, and there were not many daycare options. Yet, you told yourself you had to be better. You had to be better than the men or you didn’t make it. That’s the way it was,” she said. Of a total of 431 CSE faculty members, today there are 65 women, or about 15 percent. The number of women faculty has more than doubled since 2004, but some fields remain stubbornly imbalanced. According to the National Science Foundation, women earned about half of all bachelor’s degrees in science and engineering in the U.S. between 2004 and 2014. Yet, in 2014, they earned only 23 percent of engineering Ph.D.s and 21 percent of computer science Ph.D.s. 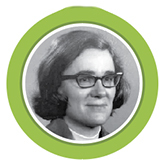 Roberta Humphreys, professor of astronomy, was hired in 1972. As CSE’s longest tenured female faculty member, she rose to the rank of full professor and set a college milestone by becoming the first woman to be named a Distinguished Professor.